The Listening Post and Unprisoned Ask: What Do Prisons Do? 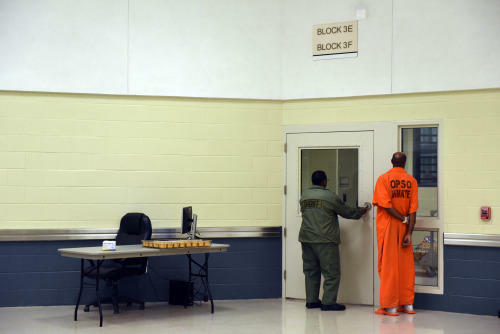 An inmate in the new Orleans Parish Prison.  The Listening Post is teaming up with the Unprisoned project, a new media initiative by award winning independent radio producer Eve Abrams. We want to understand better how jails and prisons impact society here in Louisiana, where 1 in 75 residents are incarcerated, the highest rate in the world. 1. What do jails and prisons do? 2. How do jails and prisons change people? Jails are businesses, it all goes back to money. They’re there to keep people of color scared and of course they change people by giving them ptsd, and other psychological disorders. 9 times out of 10 that person shouldn’t even be in a jail, instead they should be getting medical treatment. But it’s easier to lock our problems away and forget about them instead of facing them head on and making a true change. Just look at how this country has dealt with the fact that the European settlers massacred an entire race of people and then pretend as if nothing happened. Do you actually think that those same people would help the people that they brought here, enslaved, and ruined for generations? Of course not. 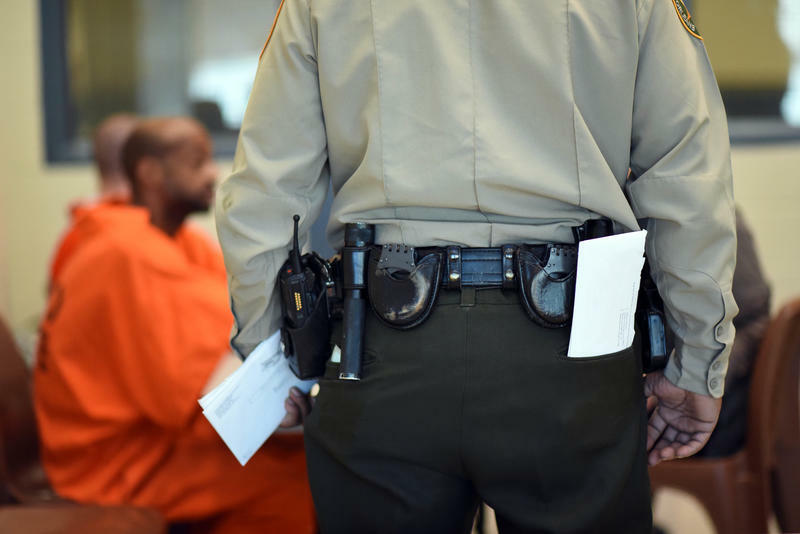 Physically prevent criminals from pursuing more crimes while in jail. That is it. Does not prevent after they are released. In fact could make worse. Perpetuate inequality; maintain white supremacy; crush dreams; destroy families; ruin lives. In my opinion jails and prisons breed racial hatred and hardened criminals. I am a member of the Welcome Table of New Orleans. It is a partnership between the city of New Orleans and the Winter Institute for Racial Reconciliation. I have been waiting my whole life to be part of an effort to break down racial isolation. Simply serve as a warehouse for criminals. Jails are short-term holding facilities for criminals, prisons are longer-term. Keep some criminals locked up but mostly it’s people with misdemeanor charges. Jails create disconnection and indifference, and seem to make money doing it… we are squandering a chance to make a greater world by locking up the victims of our problematic society. every human deserves love in their lives, especially those who have lived through violence and desperation. we should hate the crime and not the criminal. a ‘jail’ should be an environment of forgiveness and healing. They make the owners of them very wealthy. To my knowledge, mostly all prisons in La are privately owned and receive a perdeim on each jailed person. Now, what’s wrong with that? Do you think the owners want their jails empty? The prison expierence can have a variety of emotional and physical effects on people, mostly negative. Generally, it hardens people and compromises their health. The more time a person spends in prison, the less likely they are to successfully transition back into the community after their release. Probably for the worse. No experience. No personal experience, but from what I’ve heard and read, often they do little good for the majority that end up incarcerated. No. I don’t believe they change folks for the better, usually. I think some criminals benefit, but some learn to be better criminals. They strain relationships and stigmatize people. Yes. They completely derail lives. It’s so hard to reintegrate. No personal experience. I can imagine people who are locked up feel more anxiety, and may have long-lasting mental and emotional difficulties. Not necessarily severe, but I imagine it changes a person. It institutionalizes the mind and behavior of men. Neither of those things worm best when constrained. I’ve worked for criminal lawyers in another state. The United States has the highest rate of incarceration of children. It usually makes them worse. Jails wind up being a viable short-term housing/meal option for people in poverty. With very few exceptions prisons do little to rehabilitate and often harden their inhabitants even more. They don’t change u, help is needed for your problem than if that don’t work jail. I spent 3 yrs in jail. People can’t see they’re relatives on the regular. Find out they’re loosing people and it’s nothing they can do about it because they can’t see them. It’s sad. Jails teach the world to hate and hold grudges. They create polarity. They are the antithesis of family. I know first hand and it’s not good. It ruins people and families lives. For those who deserve to be in jail, have to pay the price and nobody cares who else it hurts. Especially the perpetrators!!! Over the next several months, Unprisoned will look at how mass incarceration affects New Orleans — how people are doing time outside. We start at New Orleans Municipal Court with a vivid portrait of this front door to the criminal justice system.